The Lexmoto Chieftain is here! 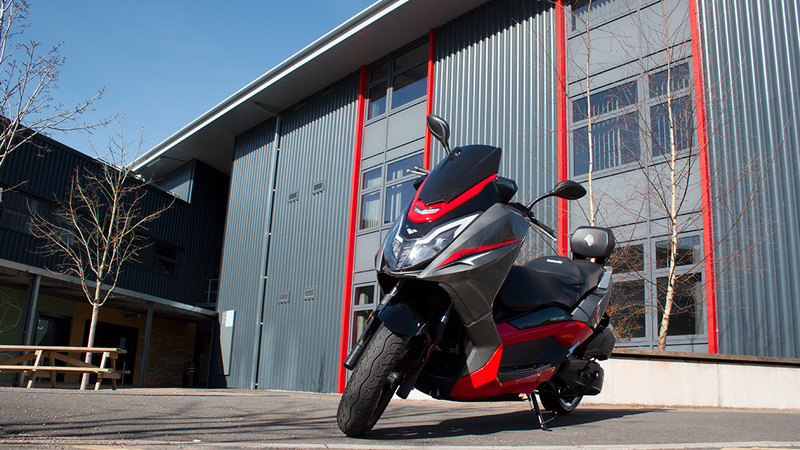 Now in the to Lexmoto line up, the Chieftain 125cc Maxi Scooter has arrived in the UK and is with dealers nationwide. The Chieftain is our first venture into the maxi scooter market and we believe with its sleek styling paired with its large comfortable seat you can take charge of the road and explore in comfort and grace. Not only does this scooter have plenty to show off about but it also comes with a 2-year warranty as standard, and at 1999.99 rrp you can be sure that you are getting a desirable scooter at an affordable price. As the flagship scooter from the two-time winners of the British Dealer News, Scooter franchise of the year award, you can be assured of a dependable and quality mobility option. If you're looking to get the Lexmoto Chieftain yourself, it is currently available to pre-order from any of our Lexmoto dealers. With over 130 dealers based nationwide, contact your local dealer today. For an even closer look at this new model, make sure to check out our first look video at the Lexmoto Chieftain on our YouTube channel.